If a signer says they are unable to complete the document the most likely explanation is that some required fields have not been completed. This article explains how to troubleshoot this issue. 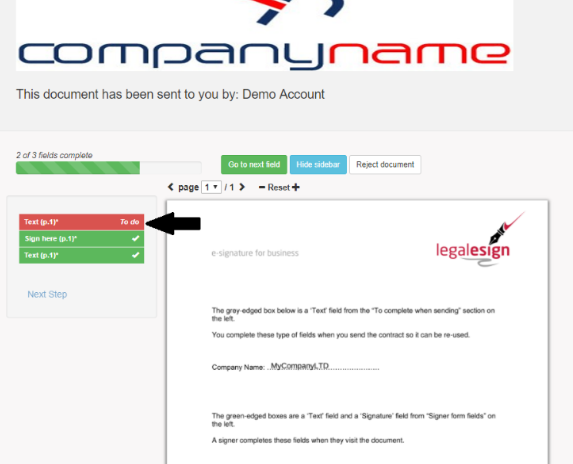 To the left of their document your signer will see a list of document fields. Those fields in red are required and will need to be completed. If the signer clicks on an item in the list the page will move to the field. When all the fields are complete this list will be replaced by the 'agreement statements' and their tickboxes. Just below the tickboxes are two buttons: one green to confirm the signer agrees to the document and another red for the signer to reject the document (it is possible for an administrator to remove the red button). 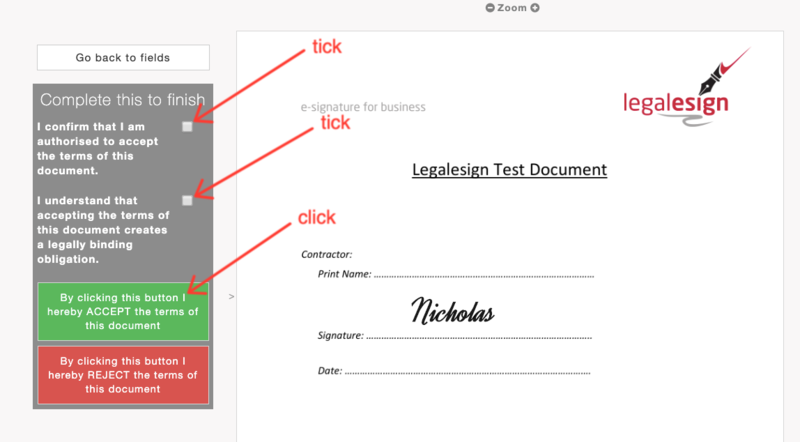 The signer must tick the checkboxes and click the green button to complete the document. The page will redirect automatically to a page where the final document can be downloaded (if this is the final signer). If you are in the web app the way for you to debug this for the signer is to see for yourself which fields are incomplete. Go to the Audit log / details page for the document. Scroll down and with the signer's ‘Fields’ section. This will show you the signer's fields, the ones that are required, and which ones have been completed. Any fields that are required but not saved (Y) will identify your incomplete field(s) holding the signer back. See the video below.